How Quickly Can You Charter a Helicopter? 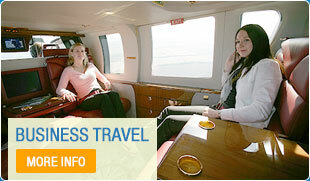 Home » Blog » Atlas News » How Quickly Can You Charter a Helicopter? For businesses and people with a tight schedule the amount of time a helicopter charter saves you makes this style of travelling very appealing, however, it doesn’t stop there. Even when the charter is booked you can take advantage of our flexible itinerary operated by our friendly Operations Team. If there is a change in your schedule or delay in your meeting, the flight plan can accommodate your revisions – subject to certain restrictions. With Winter’s increasing unpredictability and ‘Beasts from the East’ causing traffic and travel delays we’ve recently been asked how quickly we can arrange helicopter charters should someone’s travel plans be disrupted. Is there an aircraft and pilot at our Hampshire base ready to launch into action? Are the proposed landing sites for departure and arrival easy to arrange permission for? What time of day is the call and where is the flight to? Can payment be arranged before the flight? If these elements fall into place then a helicopter charter can be booked really quickly. If you want to move quickly to any part of the UK at the drop of a hat then you need your own helicopter and employ a pilot. On permanent standby, this would solve your day-to-day needs. Some people, for insurance purposes, need two pilots and others need a 24-hour solution, but if you constantly need to be moving at a moment’s notice then this is your best option. With this in place, you could be in the air within 30 minutes. For purchasing details read about our bespoke helicopter buying service. In an ideal world booking in advance is your best option, however there is always the possibility of putting a pilot and aircraft on standby should it be needed, but the cost of that against an actual flight is something you will have to discuss with the Operations Team. Whatever time you want to charter with Atlas Helicopters every detail and option can be arranged by our friendly and dedicated Operations Team. They have over 18 years of experience in dealing with many types of itinerary and every challenge has always been met. Call them today on 0125 663 5000 Or use the form below to get an instant estimate of your flight.